"Here Comes the Boom" movie quotes follow along as one uninspired high school biology teacher decides to take up mixed martial arts to save his school's extra-curricular activities from budget cuts. 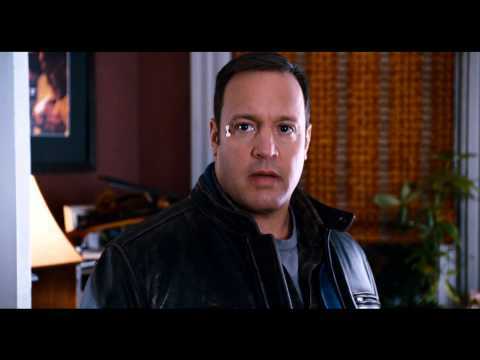 The sports comedy co-written, co-produced and co-starring Kevin James was created in part by Happy Madison Productions, the production company founded by James's friend and frequent co-star Adam Sandler. 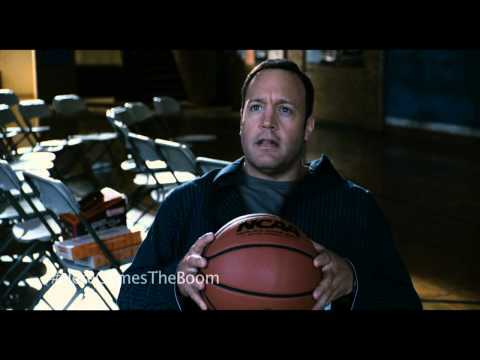 In "Here Comes the Boom," Kevin James plays Scott Voss, a teacher who was once the best in the school but has since lost his passion for his profession and it's beginning to show. That's not all that's lost in the school however as due to budget cuts, the school is forced to eliminate all extra-curricular programs, including music which puts Scott's friend and fellow teacher Marty (Henry Winkler) out of a job. Eager to keep Marty employed and keep the kids active, Scott vows to raise the $48,000 needed to keep the programs afloat. But Scott is no master fundraiser, in fact, this first effort proves to be highly unsuccessful. Then, while watching UFC with his buddies, Scott gets the brilliant idea that since he was a wrestler (20 years ago) in college that he could get into mixed martial arts and bring home the big paychecks just like the top fighters. As one might imagine, this is easier said than done but Scott is determined and even has a lady (Salma Hayek) by his side cheering him on. If sports comedies are not quite your thing, don't fret. There are plenty of other movies out at the same time including "End of Watch, "Dredd 3D," "Lawless," "Resident Evil: Retribution," "The Perks of Being a Wallflower," "Trouble with the Curve," "The Master," "The Words," and "The Inbetweeners." Bella Flores: "You got knocked out cold." Scott Voss: "I wasn't out cold, although I did see a unicorn and I was riding it." As much as he doesn't want to admit it, Scott was knocked out cold during one of his fights. He denies it at first but does mention a lovely dream he had when he was not knocked out. Bella Flores: "I guess it was unrealistic to think that anyone would show up when everybody has their own problems." Scott Voss: "You showed up." Bella Flores: "You shut up!" Scott Voss: "I said, 'you showed up.'" Bella Flores: "So what exactly is the plan then?" Scott Voss: "Well first off, we need to get $48,000. That's a definite. Then we should probably help save Marty's job." Bella Flores: "I see that you put a lot of thought into it." Scott Voss: "Well how about this, how about we work out a plan but we do it in a controlled area, which is my apartment and dinner happens to also be around so we do both?" Bella Flores: "Not a chance"
Scott Voss: "Okay, you're making me work at this. I understand. I get it. What if I dunk this ball in that hoop? Then you have dinner with me at my house Friday night." Bella Flores: "You dunk a basketball? Please"
Scott Voss: "Fine, then take the bet!" After his impromptu fundraiser fails miserably, Scott Voss and Bella Flores decide the next step to raising $48,000 for the school. Scott also has a secondary motive, getting Bella to agree to a date with him. Ten Grand For That Fight? Scott Voss: "I gotta figure this thing out." Niko: "Yeah, right after you watch the fight." Joe Rogan: [on television] "It's hard to believe he got ten grand for that performance!" Scott Voss: "He got ten grand for that fight? But he lost?!" Niko: "And if he won it would have been 50." Scott Voss needs to come up with a plan to raise $48,000 for his school but his buddies want to watch MMA instead. When Scott hears just how much the MMA fighters make for a match, the light bulb above his head turns on. Bella Flores: "What are you teaching these kids of you go through with it?" Scott Voss: "What am I teaching them if I don't?" Bella reminds Scott that he's basically endorsing the violent sport of mixed martial arts, something that might set a bad example for his students. Scott however reminds Bella what he'd teach them if he gave up instead.